A genetically engineered (GE) eucalyptus tree with frost-resistant capabilities is getting closer and closer to becoming the first GE forest tree to be deregulated in the U.S. ArborGen Inc., the company behind the GE tree, has touted that the tree will allow for larger eucalyptus plantations, reducing the stress of deforesting from other areas, and has claimed that the tree poses “no unique risks.” But over 280,000 people and 500 organizations think otherwise. During a public comment period on the project, over a quarter of a million conservationists and concerned citizens brought up a number of issues with the GE tree, including water usage, risk of wildfire, and the fact that eucalyptus trees are not native to the U.S. and could evolve into an increasingly harmful invasive species. After a lengthy review process (ArborGen first started working with the USDA on the GE tree in 2005) the USDA released an equally lengthy assessment of the tree; the gist of the 500 page draft Environmental Impact Statement (dEIS), which was released in April of this year, is that the USDA believes that the tree will not negatively impact “crop or urban land uses within the action area,” and therefore recommends that it be deregulated. If deregulated, the tree can be transported, sold, and planted across the U.S. with little limitation; ArborGen believes that GE eucalyptus plantations could be planted across millions of acres. The eucalyptus trees, which are native to Australia, are engineered for cold tolerance with the intent of extending their range into the Southern US, from South Carolina to Texas. Not surprisingly, conservationists took issue with the USDA’s assessment, arguing that the dEIS was downplaying critical risks. When asked about these potential hazards, an ArborGen representative explained in an email that “the idea that eucalyptus is more volatile or prone to fire than other tree species is inaccurate.” The representative then went on to explain that there haven’t been any problems with dryness in Brazil, which has vast eucalyptus plantations and approved a GE eucalyptus tree a few years ago. And as far as Brazil is concerned, the conversation about eucalyptus trees is far from simple; an Al Jazeera article explains how a pulp and paper industry leader was behind a land war in the northern part of the Espirito Santo region, which deprived many native people of their territory. This same region has experienced water shortages this past year, with 130 streams drying up, largely because of eucalyptus monocultures, which are colloquially known as “green desserts”. 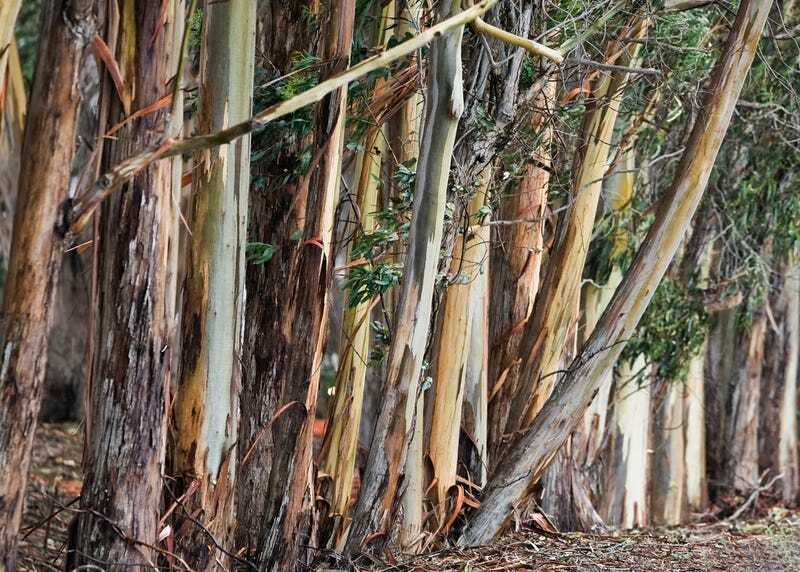 Another concern that has consistently come up with the GE tree is that since eucalyptus trees are nonnative, the spread of these trees across the U.S. means that they could strangle local ecosystems. ArborGen points out that there isn’t a high risk of this happening, as “eucalyptus species have been planted and successfully managed in Florida for several decades with no history of invasiveness.” The USDA, in their dEIS, seem to largely agree with this statement. Still, there is some reason for concern, as eucalyptus trees have spread beyond their desired enclosures and disrupted native habitats in the past. California and South Africa are just two of the more well-known regions of the world where eucalyptus trees were introduced and are now viewed as invasive species. The discussion of what to do about these trees is long and convoluted, but the short of is that eucalyptus trees have been known to take over suitable habitats in the past, and arming them with frost-resistance so they can survive in diverse environments seems to carry potential danger. Conservationists are also worried about one of the largest end uses for eucalyptus trees: wood pellets to fuel the growing demand for “clean” bioenergy. Under Trump, the U.S. has taken a back seat when it comes to renewable energy, but the E.U. has gone full steam ahead, and one of the ways it’s seeking to cut fossil fuel consumption is by increasing the use of wood as a biofuel. American companies have been capitalizing on this trend, by sending millions of trees to the E.U. in the form of wood pellets. The problem with this scheme is that burning wood isn’t a good way to curb greenhouse gas emissions. The public comment period for the USDA’s dEIS has ended, with over 280,000 comments posted; it was almost a unanimous cry against the GE tree, with seemingly just a handful of comments in favor of the project. The USDA now has the pleasant task of going over the 280,000 or so comments to see if any substantial new information was filed. If they find such information, then they’ll return to the drawing board to produce another 500 page dEIS with a new, updated recommendation for what to do about the GE tree. If no new information is found, ArborGen will likely get its way, and the GE tree will be deregulated. ArborGen is probably right, considering that the dEIS is 500 pages of confusing risk assessment and recommendations. Still, there are real reasons why conservationists and the general public are concerned about the GE tree; water, fire, and escapement are concerns that deserve attention.